We need to just say this. We have a race problem. Right here in Cincinnati. And it’s been on ugly display in – of all places -- our schools. The latest was a video that a Mason High School student posted online, a video of himself calmly tossing out racial insults and offensive stereotypes. There was the absurdly outrageous jerseys a youth basketball team in Warren County wore while they played in local school gyms. There was the Mason teacher who joked about lynching with a black middle school student. Then students at Catholic Elder High chanted racially offensive taunts during a basketball game with rival St. Xavier. Each of these incidents was handled in the usual ways: A student is disciplined; a teacher suspended; a principal apologizes; a board member resigns; diversity training is assigned. Each measure, perhaps, was appropriate for the crisis of the moment. These should not be one-time reactions where official apologies get issued, schoolwide assemblies are held and the case closed. This community, like this nation, suffers from a crippling societal divide. It demands long-term focus. Who better than our educators to take this on? Why not teach racial inclusion, diversity and history as part of the regular course of study, like math, reading and science? Work it into the core curriculum. Start in kindergarten and build on it through high school. Create a course of study that celebrates diversity, promotes inclusion and delves into the history of blacks in America. 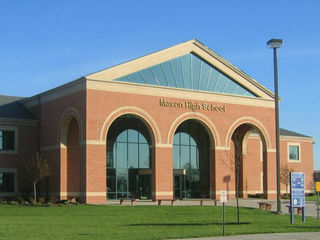 Two recent incidents happened in the Mason school district. Because, as these latest incidents show, we need to do a better job of teaching our children to welcome, appreciate, understand, live and work in this increasingly diverse world. By mid-century, the U.S. is expected to be a majority-minority nation, where whites make up less than half of the population. It has to be more than Black History Month, more than a school assembly, more than an extracurricular activity. That’s why it is so disconcerting to see the next generation – perhaps following cues from their parents – behaving so badly. Creating a cultural curriculum will not be easy. Schools are already under pressure to perform on state-mandated tests and report cards. So the state school board will need to get involved. But local boards enjoy great leeway to take action in their own districts. 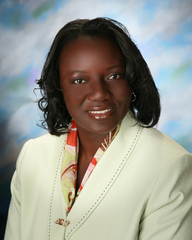 Balena Shorter is on the board of Fairfield schools. She’s an African-American, a parent, a mechanical engineer. She grew up outside of Birmingham, Alabama in a town where a bridge separated the white neighborhood from the black neighborhood. Our schools can lead the way. They can build a new bridge and guide their students across it.